approach is to encourage lenders to improve their services. Accessing credit is difficult for businesses in the Pacific. While there’s enough liquidity in the banking system, the ratio of private sector credit to GDP is in most cases less than 50 percent—similar to the level in many South Asian and South American countries. In developed or fast-growing economies it is typically around 100 percent. Reasons for the lack of credit include the difficulty in using land as collateral, a lack of financial records, and poor business skills. Whatever the root cause, business cannot grow without credit, and employment, income growth, and living standards are constrained. Government-sponsored credit guarantees are often promoted in the Pacific as a way of overcoming the lack of lending. The logic is straightforward: if the government agrees to repay some or all of a loan in the event of default, lenders will be more willing to lend and access to credit will increase. But the rationale for guarantee schemes can be challenged on several fronts. The experience to date of the Pacific with these schemes does not make a compelling case for extending their use. In fact, they stand in the way of reforms which could resolve the underlying issues that inhibit lending. The first challenge is theoretical. Under the schemes, the nature of the risks does not change in any way—all that changes is the entity that bears the risk. Governments typically charge lenders a fee for providing a lending guarantee. If that fee prices the risk appropriately there is still no meaningful change to the lending process—the cost is passed onto the lender and, ultimately, the borrower. Yet, finance theory suggests that risks should be borne by the entity most familiar with them and therefore best placed to take them on. Government-backed guarantee funds are unlikely to be better at assessing risk than lenders. So when, as is often the case, guarantee funds underprice risk (or provide their guarantees for free), this encourages risky credit. Credit guarantees can also be challenged on practical grounds. Building such guarantee schemes is a demanding exercise. Difficult questions can include: What proportion of the loan value should be guaranteed? Should individual loans be guaranteed, or a portfolio of loans, or some combination of both? Who should do the credit assessment—the lender or the guarantor? How much should the guarantor charge the lender for offering the guarantee? Should the guarantee scheme last indefinitely or should there be a sunset clause? Does the guarantor have a robust risk management framework, and is it regulated? Few governments would have the capability to address these questions. Furthermore the track record of credit guarantees in the Pacific, and elsewhere for that matter, shows they have not spurred an appreciable increase in credit. Moreover, some schemes have suffered large losses. Even positive experiences do not support the case for credit guarantees. In contexts where a guarantees framework appears to work, it was likely not needed in the first place and its impact would only have been to increase lending costs through an additional fee. Perhaps the biggest problem is that credit guarantees suppress improvements in lenders’ credit assessment and risk management skills. Banks and other credit institutions exist to finance economic activity, and that role encompasses taking on the risks associated with this financing. Credit availability increases when lenders’ skills in providing financing improve and commercial incentives are provided. A system in which lenders do not carry the risk of their lending decisions undermines both these processes. If guarantees aren’t the answer to limited credit, then what is? It is important to remember that, while lending in the Pacific might be a little riskier than in bigger economies, and certainly riskier than in countries with bigger financial systems, this does not mean private sector lending is a lost cause. On the contrary, sensible financial sector policies and changes in lending practices supported by reforms of the business environment offer a clear path to increased credit availability. If lenders are unwilling to lend, competition policy should promote new banking entrants and the participation of second-tier institutions like finance companies. Trade credit from non-financial institutions should also be encouraged as an additional form of business finance so, for example, wholesalers can provide short-term credit to their customers. There’s a need for reforms to secured transactions frameworks, making it easier for lenders to accept movable assets such as accounts receivable and inventory as collateral. Regulators need to recognise the security this collateral provides. The good news here is that such reforms have now been fully implemented in seven Pacific countries and are underway in a further three. Perhaps it is also time, given the technology now available, to seriously consider the unbundling of services provided by Pacific banks. Separating foreign exchange and other services from lending could encourage banks’ to focus on what should be their core business. Lenders need to change their internal practices to accept new forms of collateral and offer loans that unlock the collateral value of movable assets. Financing facilities provided by the Asian Development Bank’s Pacific Private Sector Development Initiative to vanilla growers in Tonga and cocoa exporters in Solomon Islands demonstrate what is possible in this area. Businesses in both sectors are now using crop inventory and buyer contracts as collateral. The vanilla farmers are also using their vanilla vines as collateral and the cocoa financing facility is making use of cash as collateral in addition to the cocoa beans. 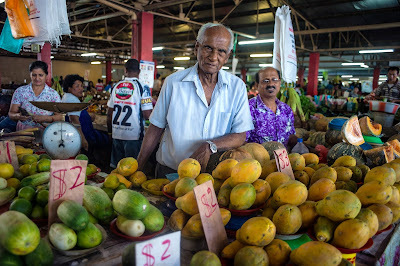 Embracing the opportunities offered by this type of financing would usher in more sophisticated financing instruments such as inventory and warehouse receipts, which hold great promise particularly for developing Pacific agriculture. Reforms to lending practices should be accompanied by changes in credit assessment criteria that recognize non-monetary indicators of credit worthiness, such as personal character. These are critically important in the Pacific and can allow lenders to see beyond a lack of financial records and deliver loans that might otherwise be declined. In the final analysis, the responsibility rests with lenders. It’s time they upgraded their credit assessment and risk management capabilities, rather than rely on guarantees. By Peter Dirou, PSDI Senior Financial Sector Expert, and Paul Holden, PSDI Lead Economist. This article was originally published in the December edition of Islands Business magazine.